Scandinavian Styled Shoot - St. Vrain, Colorado. With a desire to emphasize the beauty of a simple wedding, this styled shoot at St. Vrain in Longmont, Colo., is industrial, yet cozy. Scandinavian touches and handmade details create a personal, one-of-a-kind experience. And a much-in-love couple brings out the best in the space with their timeless and authentic spirits. 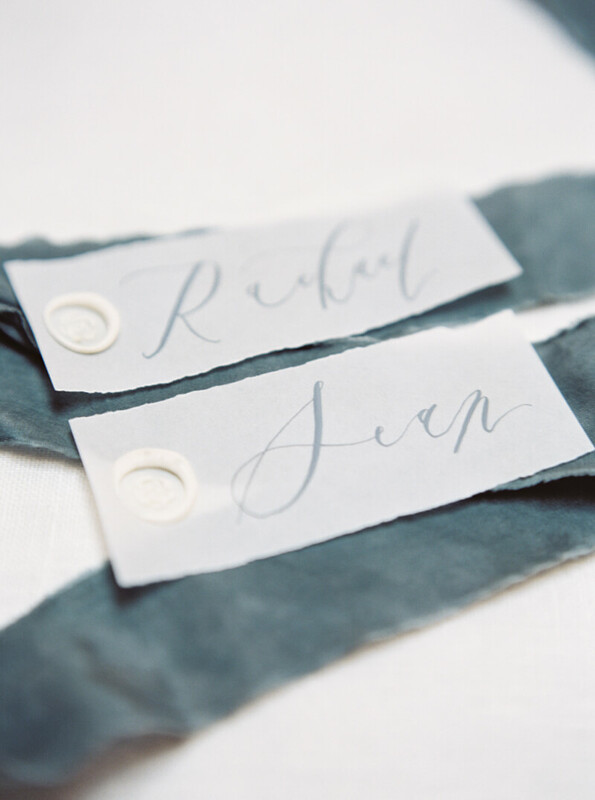 Using St. Vrain’s whitewashed backdrops as inspiration, the invitation suite features unique details like modern calligraphy, translucent stationary, and a white wax seal. It’s the perfect combination of contemporary and classic. With the fields of Scandinavia as its muse, the floral inspiration for this shoot is wild, carefree and hearty. 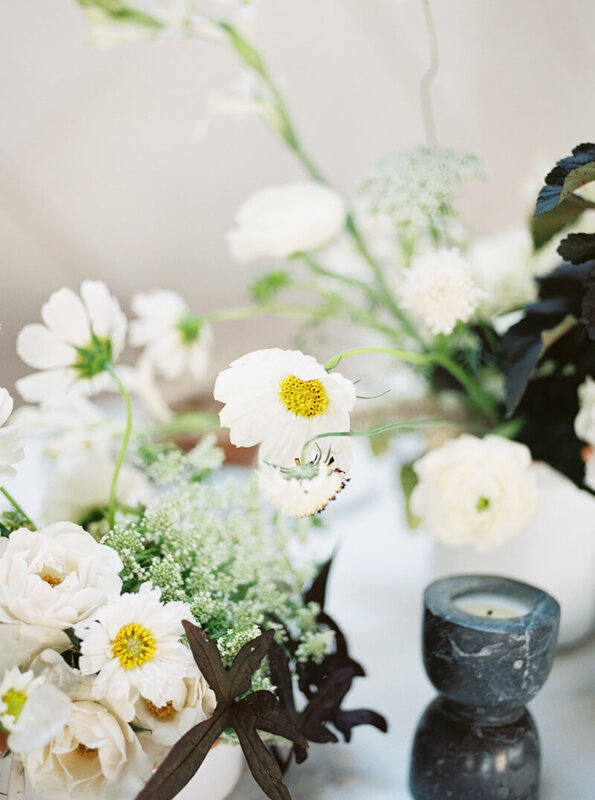 Handcrafted wildflowers, dahlias and greenery combine for a fresh green and white vision. The bride’s look is utter sophistication. Her chic V-gown neck gown offers the perfect silhouette, complementary to her statement earrings and stylish updo. 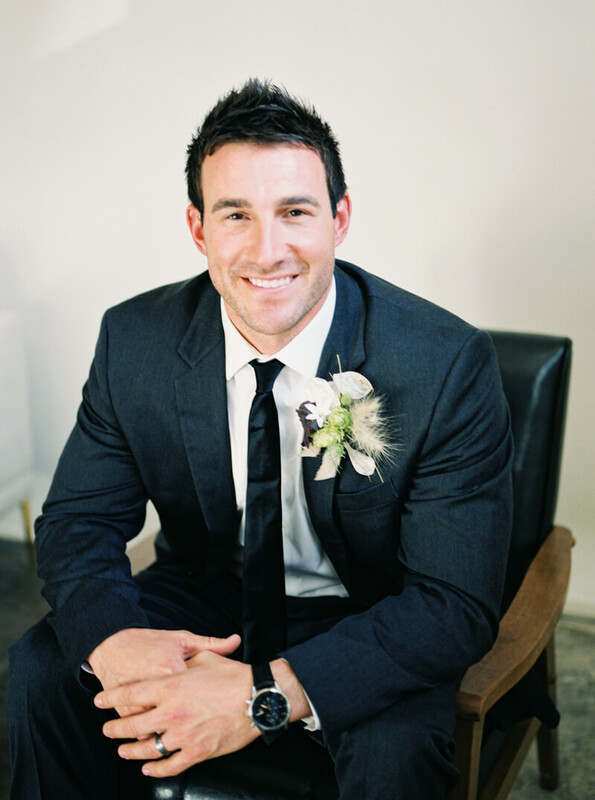 The groom dons a modern black tuxedo, complete with a skinny black tie and texture-filled boutonniere. From solemn to silly, the adoration and love between the bride and groom is apparent. 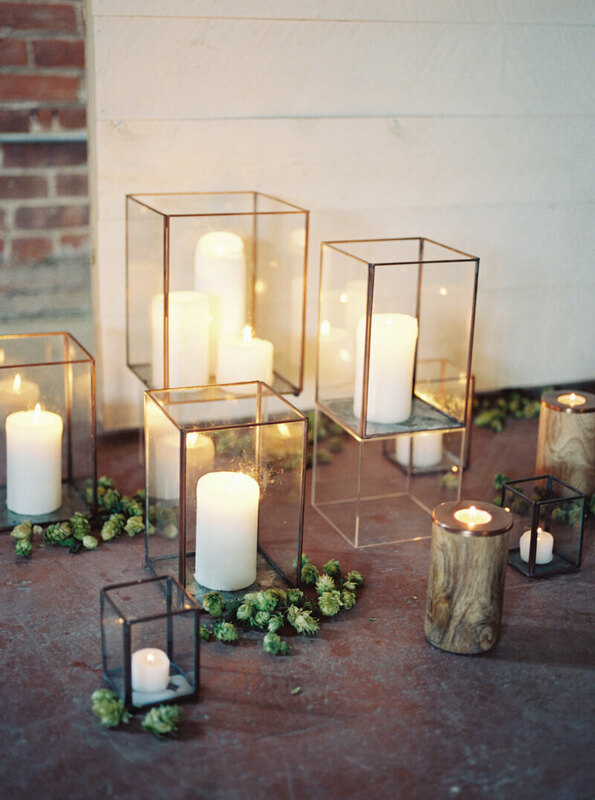 The ceremony space is created with glowing modern glass lanterns and scattered hops on the floor. The wooden wall is dressed up with an asymmetrical garland and is presented in front of rows of white industrial chairs. The florals take center stage with their abundant size, texture and refreshing color. The creations are idyllic for balancing St. Vrain's rugged vibe. In front of the venue’s charming white wall, a small reception table splashed in white is punctuated with dark accents. 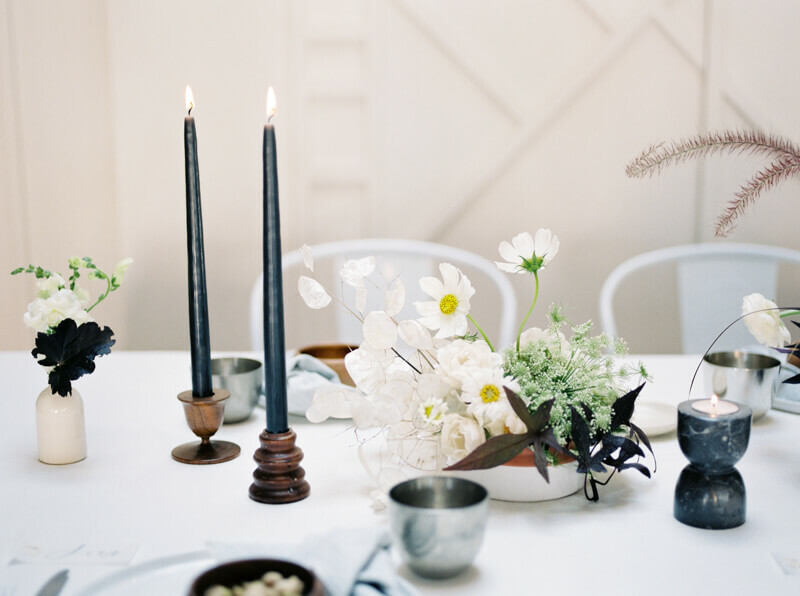 Minimal place settings offer a rustic appearance, while dark tapers and flowers tie in the industrial aesthetic. Traditional Scandinavian dishes are presented on the table, such as a Swedish-style sandwich cake, as a culinary nod to one of the event's chief inspirations. Sometimes, less truly is more, and this styled shoot at St. Vrain is proof. 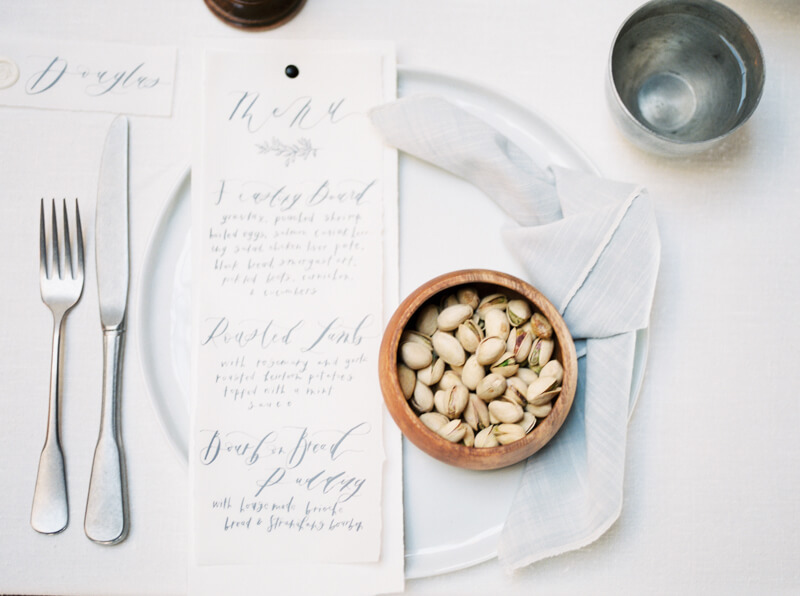 From the simple tablescape to the simple ceremony décor, pulling back and focusing on enhancing an already great venue, allows the most important elements – and people – to truly shine.